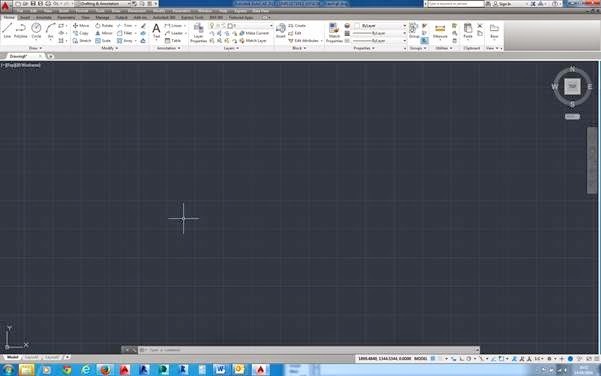 This blog will highlight some of the changes in AutoCAD 2015. 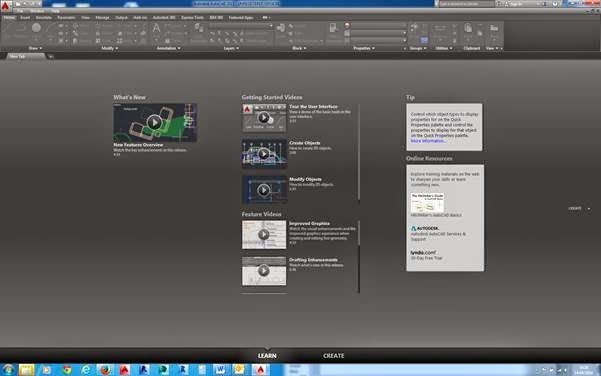 Upon opening AutoCAD 2015 you are now presented with the “NEW TAB”. The “CREATE” frame acts as a starting point and is divided into three columns, “GET STARTED”, “RECENT DOCUMENTS” and “NOTIFICATIONS AND CONNECT”. The “GET STARTED” column has the following options. “RECENT DOCUMENTS” by default will display the last open files in large icon format but the display may be controlled by the buttons at the bottom of this list. Three options will display the files as large icon, icons with the file name and last opened time and date and finally with the blue and yellow AutoCAD file icon and last open time and date. In this view style to the right of the list is a pin which the order may be set. “NOTIFICATIONS AND CONNECT” – if running the trial version the number of days remaining will be displayed, I assume that updates and service packs will also be notified via this box. Below this is the “CONNECT “ box allowing sign in to Autodesk 360 and give feedback to Autodesk regarding Autodesk products. To move to the “LEARN” frame either select “LEARN” from the bottom or the left of the frame, this frame is also has three sections “WHATS NEW”, “GETTING STARTED and FEATURE VIDEOS” and “TIPS and ONLINE RESOURCES”. To move back to the “CREATE” frame either select “CREATE” from the bottom or the right of the frame. 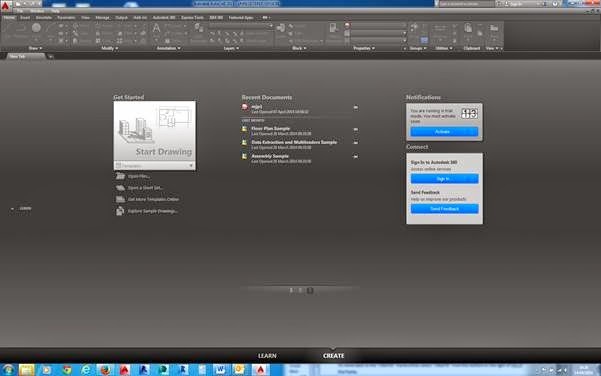 By default there is no “AUTOCAD CLASSIC” workspace only the ribbon menu, however it’s not difficult to create if needs must, check out Dennis Collin’s blog this explains how to create your own “AUTOCAD CLASSIC” workspace, personally I would stay with the ribbon. When I first saw the black ribbon, I was not too sure but it’s one of those things you get use of, the idea is to cut down eye strain, a bit like working on a black background in model space, it was a bit strange at first working on a black background but most cad users work with the background set to black. 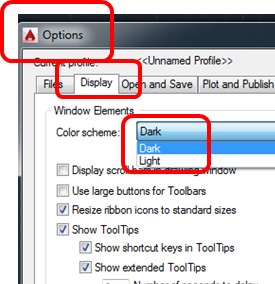 To change back to the “LIGHT” ribbons, go to “OPTIONS”, “DISPLAY” tab, in the top left “WINDOW ELEMENTS” select “LIGHT” from the drop down list. 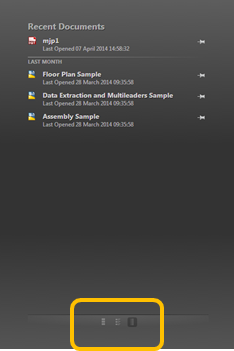 AutoCAD restored back to 2014, well almost. Although the ribbon has a dark background, the dialogues such as “LAYER”, “DESIGNCERTER” etc. remain light.